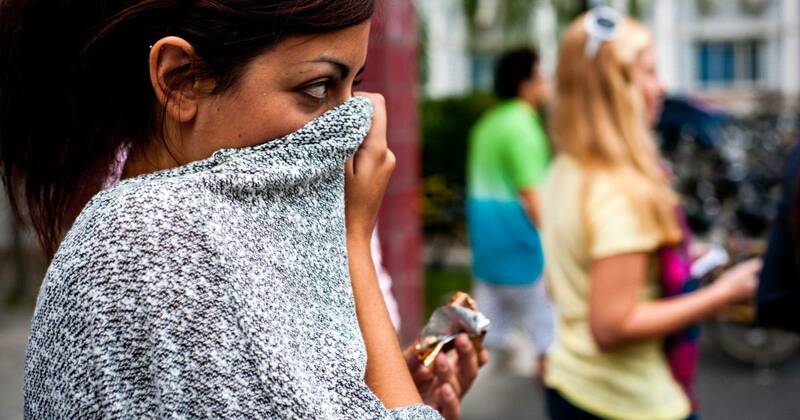 Phantom smells can be a sign of a serious health problem, but until now it’s not been known how many people experience them. A new study finds that 1 in 15 Americans over the age of 40 detect strange odors like burning hair or rotting food when nothing is actually there. The study, published Thursday in JAMA Otolaryngology-Head and Neck Surgery, is the first in the U.S. to estimate how common the phenomenon is in nationally representative data. Researchers used data from 7,417 participants over 40 years of age from the 2011-2014 National Health and Nutrition Examination Survey. The data was collected by the National Center for Health Statistics, which is part of the Centers for Disease Control and Prevention. Millions of Americans experience some type of olfactory problem, including conditions such as anosmia, or the inability to smell; hyposmia, a decreased ability to smell; and parosmia, a distorted perception of smell. Many people with smelling disorders also have issues with taste, because smell and taste are inextricably linked. Brief episodes of phantosmia, or phantom smells, can be triggered by temporal lobe seizures, epilepsy or head trauma. Phantosmia is also associated with Alzheimer’s and occasionally with the onset of a migraine. People who experience strong phantom odors often struggle with their weight and may have a miserable quality of life, according to otolaryngologist Dr. Donald Leopold of the University of Vermont Medical Center in Burlington, one of the study authors. Most phantom smells are bad — rotten eggs, garbage or spoiled food are commonly reported. The causes of phantom odor perception are not well understood, but women seem to be affected twice as often as men, according to the new study. While the ability to identify odors overall tends to decrease with age, phantom smell perception seems to improve as people get older. Medical tests such as MRIs or CT scans can find common physiological triggers such as tumor, sinus infection and epilepsy, but some patients never understand why they’re suddenly inundated by mysterious odors. “The condition could be related to overactive odor-sensing cells in the nasal cavity or perhaps a malfunction in the part of the brain that understands odor signals,” said Bainbridge.